It’s not a slow man’s sandwich. 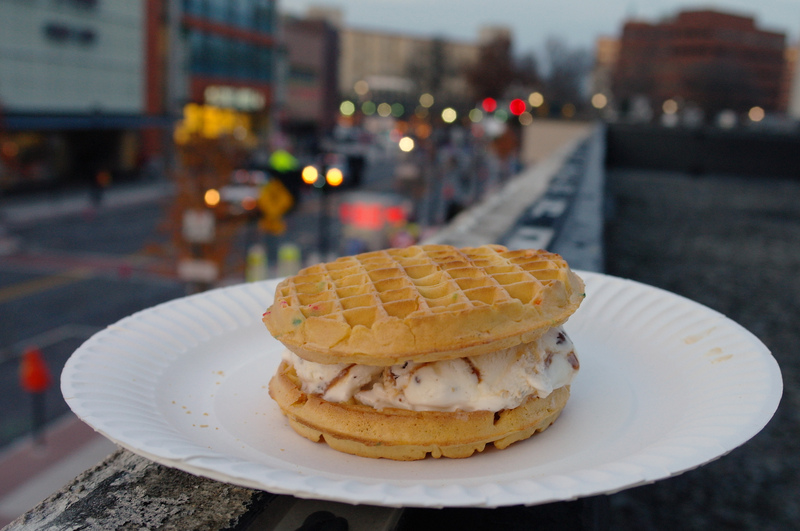 Put ice cream between two freshly toasted waffles and inevitably melting will ensue. By the end of the sweet snack, drops of ice cream will be all over your plate or shirt. Your fingers will be sticky. Your blood sugar will be up. Your sweet tooth will be satisfied. The dripping ice cream will fill each miniature bowl that makes up the crunchy waffles. Conceivably, you could eat over 75 bowls of ice cream in one sitting. Don’t worry. We won’t tell your doctor.